Bees play a hugely important role in our world – 1/3 of our food supply comes from bee pollinated plants – and our bees are in trouble! 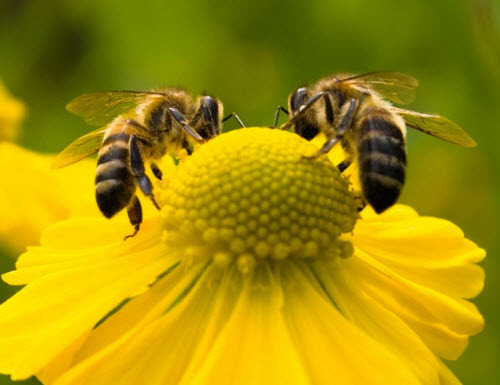 Sadly, we’re losing our bee populations due to disease, an increase in pesticides and herbicides on our farms, climate change, and habitat loss. We can help bees and other pollinators by providing bee friendly flower gardens. A healthy habitat for bees will grow bee populations and insure that they continue to pollinate plants that are critical to our food supply. Just $12 provides 400 sq. ft. of bee friendly flowers.